Pop artist Derrick Knight lands among the rock stars and illuminates the world famous stage at the HARD ROCK CAFE in Hollywood, California! The new headlining residency show will be set on the Walk of Fame and bring the energy of iconic rock stars complete with a full live band. World class production sets the stage for a special Derrick Knight showcase in Hollywood. The residency will show off his rock star quality with all the glitz and glamour. From #1 Billboard Pop Chart Hits to popular Rock N Roll songs, the new show is genius and Knight will interact with the audience in unscripted / authentic conversations. Derrick Knight's old fans are excited to see his return to the main stage and he his about make many more new international fans with his cover series! 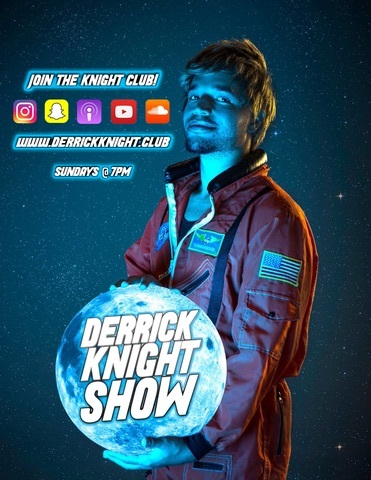 WISH 107.5 fm will stream the launch event live, the press conference, with an exclusive Derrick Knight interview and performance that broadcasts to millions of fans on their huge international network. This Email is covered by the Electronic Communications Privacy Act, 18 U.S.C. Sections 2510-2521 and is legally privileged. Unless otherwise indicated or obvious from the nature of this transmittal, the information contained in this message is privileged, confidential and intended for the use of the intended recipient (or the employee or agent responsible for delivery to the intended person), and you are hereby notified that any dissemination, distribution, or copying of this communication is strictly prohibited. If you have received this communication or attachment(s) in error, please reply to the sender from which you received it and delete this message in its entirety.